Bob Boyle says the problem is going to get even worse when Disney acquires 21st Century Fox. 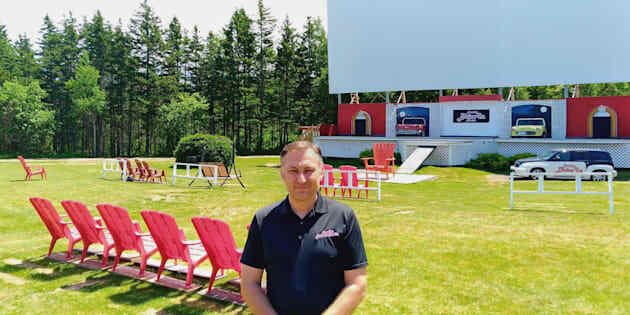 Bob Boyle, owner of the Brackley Drive-In Theatre in Brackley Beach, P.E.I., says a requirement that cinemas screen most Disney releases for a minimum of three weeks is choking out small-town businesses. BRACKLEY, P.E.I. — The owner of a drive-in theatre in Prince Edward Island says a requirement that cinemas screen most Disney releases for a minimum of three weeks is choking out small-town businesses. Bob Boyle, owner of the Brackley Drive-In Theatre, says the standard became a bigger problem after Disney acquired Marvel Entertainment and the Star Wars franchise, and he expects the issue to reach its breaking point now that the titan plans to acquire 21st Century Fox. Boyle says that in small towns and rural communities, there isn't enough demand to keep playing a film for three weeks straight. He recently took to the drive-in's Facebook page to decry the policy and ask his customers to push back against the movie giant, saying "the studio will not listen to us, but they should listen to you." Disney was not immediately available for comment, but a company spokeswoman told CTV Atlantic that each film is negotiated on an individual basis and that the company does not restrict all films to a three-week minimum. Boyle says there's no hard copy of the policy, but that he understands that Disney could cut off its relationship with his theatre if he doesn't play a movie for as long as the company tells him to. MORE: 21st Century Fox Brackley Beach Brackley Drive-In Theatre Business Disney drive-ins Entertainment Film News P.E.I.